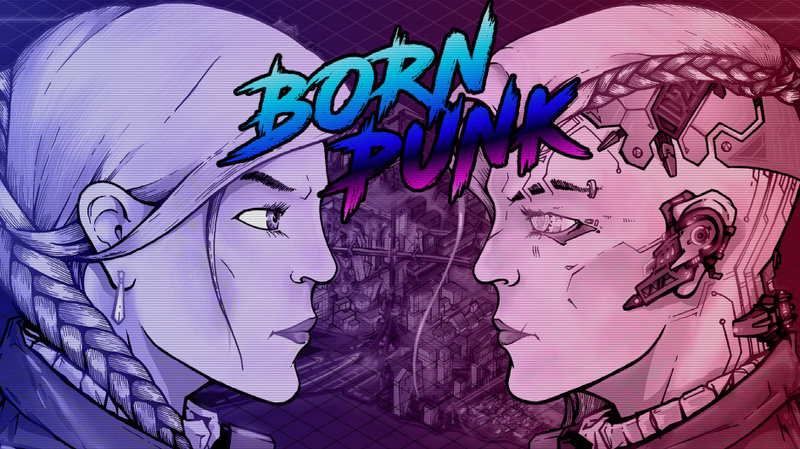 Australian indie developer Insert Disk 22 has revealed that its upcoming point and click project Born Punk will soon be taking to Kickstarter to get truly up and running. A Switch version has been promised should the campaign be successful. Set 130 years in the future on the island of Bornholm, Born Punk follows the story of Eevi Rinasdottir, a former corporate combat hacker whose brain-computer has been infected with a rogue artificial intelligence. Eevi must go on a quest to find out how she came to be in this situation, uncovering a plot that will change the future of humanity forever along the way. - Choices and Consequences: many puzzles in the game will be solvable via different means. These means often involve dichotomies between violence/peace, subterfugehonesty, and egotism/altruism. - Extensive Lore: the player will collect vast amounts of lore by interacting with the game world. Sometimes, the knowledge gained therein can be used for puzzles or dialogs to produce different outcomes. It is a purely voluntary game mechanic. - Futuristic Technology: the main character Eevi is physiologically augmented. She is able to hack into electronic devices, use her artificial titanium claws to attack or defend herself, and her cybernetic eye gives her insight that is hidden from 'normal' humans. The Kickstarter campaign is set to launch on 5th February, so make sure to keep an eye out on the Born Punk website (which contains a detailed write up of the project) or social media pages if you're interested in backing. A demo has been released for Windows, Linux, and macOS if you'd like to give it a try. We'll leave you with this extended gameplay video below. Do you like the look of this one? Would you like to see the game make it to Switch? Let us know if you're considering backing the game in the comments. Looks pretty neat but like anything from Kickstarter. Hopefully it gets funded and turns out to be a fun game but I'll be waiting for the finished product rather than backing it, like I always do with Kickstarter games. I had a mini heart attack when I read "Cyberpunk" on NintendoLife. I thought Cyberpunk 2077 was announced on the Switch... Then I read the rest of the title. Oh well, I'm going back to sleep on my keyboard. I like how well maintained the 1993~ style is in general. I'd appreciate more work on the item icons in the inventory, it's a little hard to tell what they are. And tighter control of color values would be nice, if they're going to allow real transparency, or the character is going to look decidedly old-school compared to the environments. Or maybe I'm just a stickler. Either way, this looks like my cup of joe. I like the art direction but the 'gameplay' video didn't do enough to convince me to back it, would need to see quite a bit more of it. Also kinda wish it was a little more serious in tone than the video implies. Yes! These are the point and click games I like! I’ve never played a point and click game , possibly the only genre I’ve someohow missed. Any recommendations for Switch point and clicks? Thimbleweed Park, without a doubt! I love the term brain-computer. "Careful Bart, you'll damage my calculator - by which I mean my head!"